Obama was calling unequivocally for a rule-of-law approach to counterterrorism rather the martial one espoused by Cheney. But nearly four years later, the martial approach—one that treats suspected terrorists as prisoners of war rather than criminals entitled to due process—is winning out. On the losing end is America’s commitment to civil liberties and justice. The Guantánamo Bay prison is open for business, despite the president’s promises to the contrary. There sits Khalid Sheikh Mohammed, the self-proclaimed mastermind of 9/11, before an opaque military commission rather than the civilian jury in Manhattan pledged by Attorney General Eric Holder. As Obama’s first term comes to a close, the “ad hoc legal” structure he lamented inheriting looks to be a durable feature of American counterterrorism policy. How did this happen? And is there any hope for change in the president’s second term? To address these questions, let's consider two pillars of the martial approach to counterterrorism. A CIVILIAN TRIAL AND A MILITARY COMMISSION proceed very differently. A civilian trial promises an open hearing before a jury of one’s peers and forbids evidence obtained through coercion. A military commission is much less transparent and allows hearsay and evidence produced by coercion. “The motto of the commission system is ‘fairness, justice, and transparency,’ but having been there numerous times and observed the processes, the commissions are anything but,” Hina Shamsi, director of the National Security Project at the American Civil Liberties Union, told me. While many terror suspects brought to trial by the Bush and Obama administrations have been through the civilian courts, one of the most symbolic and egregious suspects, Khalid Sheikh Mohammed, has not. Putting him before a jury of New Yorkers whose lives he irrevocably altered would have been a powerful endorsement of the American justice system. The Bush administration’s refusal to do so lent him and other suspected terrorists a supernatural aura and legitimized a second-rate judicial system. It sent a clear message to the public that the U.S. government does not trust its own legal system to bring those who wreak the most havoc on American society to justice. ONE OF THE OVERRIDING REASONS that Bush was able to set up an unaccountable prison like Guantánamo was because he relied on a small, secretive team of likeminded lawyers to define the parameters of executive power. They shared an extreme view of presidential power known as the “unitary executive,” which holds that there are virtually no checks on the president’s ability to protect the homeland in wartime. As journalist Jane Mayer reveals in her book The Dark Side, the Office of Legal Counsel, the powerful division of the Justice Department responsible for ensuring the legality of the president’s actions, became a politicized rubber stamp for Bush’s counterterrorism policies in the first few years after 9/11. But in several other instances, the Obama administration has arrogated executive powers that allow it to determine its own legal boundaries in fighting terrorism. When, in 2011, the OLC advised the president to seek Congressional approval to continue intervening in Libya, as is required by law, Obama went against this opinion. It is rare for the president to overrule the OLC. Doing so allowed the administration to keep the Libya operation outside the traditional scrutiny assigned to a war authorized by Congress. “The Libya precedent is a very important yet very uncertain one,” Robert Chesney, a professor of national security law at the University of Texas, wrote in an email. The use of drones and other weapons of modern warfare “raise critical questions when it comes to a standard that makes the need for congressional authorization contingent on the presence of U.S. service members on the ground, “ wrote Chesney. The administration also has staked out executive power in its vast expansion of the drone strikes that began under President Bush. The Obama administration uses a “kill list” of suspected terrorists that is known only to the executive branch. Harold Koh, the State Department’s chief legal adviser on the issue, has called the vetting of this kill list “extremely robust” and has cited international law in justifying the list. But he was singing a different tune on the issue during the Bush administration when he questioned the legality of targeted killings. Targeted killings have not suddenly become legal under international law—rather, Koh has contradicted his previous self. As with Bush’s legal team, Koh is fitting legal theory to end goals (killing terrorists), while skipping ethical considerations. The Obama administration is looking to add its own legacy to the legal architecture of the “war on terror” as it builds a long-term “disposition matrix” of drone operations. Like indefinite detention for Obama, drone strikes look to be a policy that the next administration inherits and, after first wrestling with its legality, reaffirms its place in American counterterrorism policy. 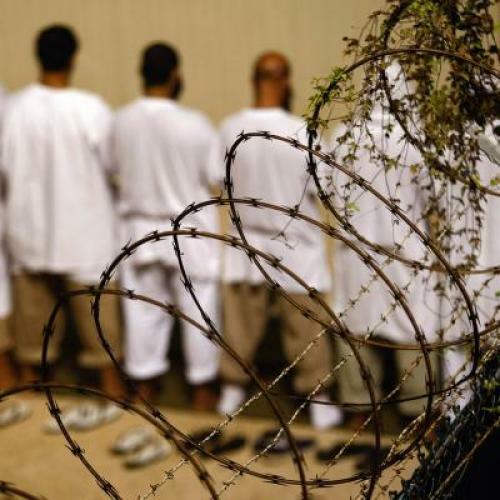 The full effect of Obama’s most important rejection of the Bush-era legal structure—the executive ban on torture—will not be felt as long as the conduits through which torture flourished, from indefinite detention to an expansive view of the executive, remain in place. As such, the martial approach to counterterrorism will endure, while civil liberties continue to be an afterthought. UPDATE: A sentence about the OLC's opinions was changed for clarity. Sean Lyngaas is a freelance journalist and foreign policy analyst based in Washington, D.C. He tweets here.